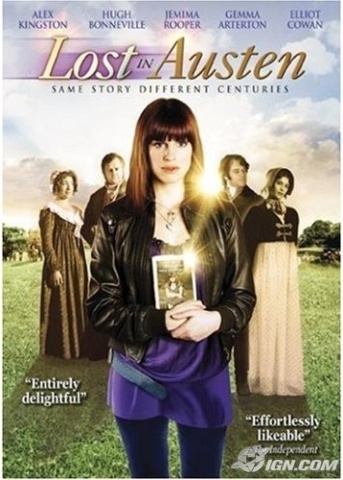 Lost in Austen: a four-part 2008 British television series for the ITV network, written by Guy Andrews. For my August review for the Pride and Prejudice Bicentenary Challenge I went for something completely different: fantasy, time travel, and a mash-up, all rolled into one. What would happen if you could change places with Elizabeth Bennet, going back in time to the Georgian/Regency era to live out the storyline of Pride and Prejudice? You would be Lost in Austen, of course. 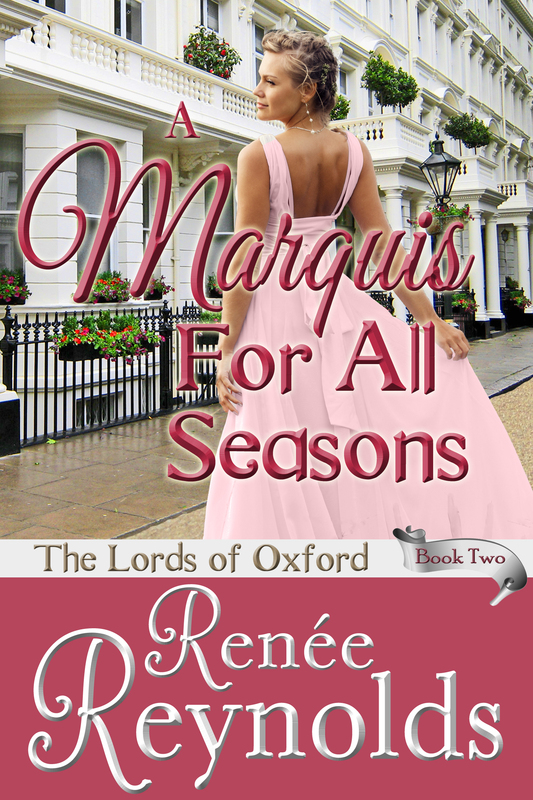 This four-part series, written by Guy Andrews, pulled some 21st century into jolly old England. Amanda Price, she of Hammersmith with 27,000 a year, goes through the looking glass of her bathroom wall and into the attic of the Bennet house. Amanda, being an uber-devotee of Pride and Prejudice, is equal parts weirded out and delighted to be inside her favorite novel. For the first ten minutes of her adventures in Meryton she has a look of giddy anticipation on her face as she stares and stalks the family to see “where they are” in the novel. Jane is sweet. Lydia is exuberant. Mary is seen in her bespectaled, bookish glory. Mrs. Bennet complains and wails while Mr. Bennet grouses and hides. It is not all empire dresses, men in cravats, and genteel manners, however. Things are not exactly going by the much-beloved book. By the next morning, when Amanda discovers Lydia in her bed, she demands to know where the hidden cameras are to catch the girl-on-girl action. There are only sticks and chalk to clean her teeth. There’s no cell coverage, electricity, or plumbing. And after a disastrous night at the public assembly – you know, the one where Elizabeth meets Darcy? – Amanda has smoked her only cigarette, gotten drunk, and kissed Bingley. For those of us who enjoy a little SciFi, we know what this means: Amanda has broken the temporal prime directive and gotten involved with the locals. Uh oh. Charles Bingley (Tom Mison) hearts Amanda Price (Jemima Rooper). Bugger! From this moment on the dominoes begin to fall quickly and without any order or reason. Bingley is in love with Amanda. Mrs. Bennet wants Amanda shipped back to her family and Elizabeth to return. Mr. Bennet hides in his library, exiting only to eat (he now sleeps on his chaise longue). It sounds like the perfect time for Mr. Collins to visit. In perhaps one of the most perfect scenes ever scripted, when Amanda calls out Mr. Collins for his unsavory habit of, shall we say “putting his hand in his pocket,” I had to hit pause and quit laughing before continuing on with the show. The rollercoaster ride just gets faster and curvier from here. Amanda tries to fix the problems she inadvertently created and, of course, only creates more. I won’t tell you how it all resolves, but look to the next paragraph if you want to remain completely oblivious to the machinations: Jane marries Collins. Lydia runs off with Bingley. 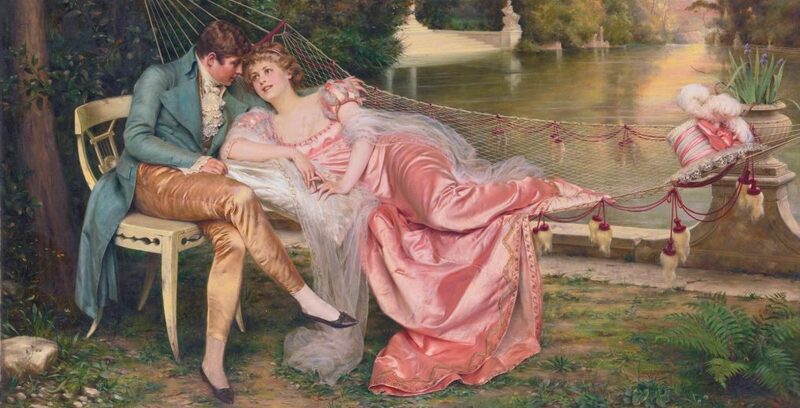 Darcy betrothes himself to Caroline Bingley. Wickham is the good guy. The essence of Pride and Prejudice is at complete sixes and sevens. I am excessively diverted! When you watch Lost in Austen, you’ll know why this is the creepiest thing ever. Not all is different in this twist on Pride and Prejudice. Caroline Bingley is still very much Caroline Bingley. Darcy is moody and broody (Elliott Cowan channels David Rintour for his ascerbic and arrogant Darcy, not to mention that he is absolutely beautiful). Mr. Collins is still obsequious and impertinent. Lady Catherine is proud and obnoxious, the dictatrix of her own little world. I am not sure if we are supposed to think Amanda’s presence and interference has caused the upheaval in the familiar Pride and Prejudice plot, or if we are to think this little world is real and maybe Jane Austen did not give a completely accurate report of its occurrences. The cause does not matter; it is a pleasure to watch the comedy of errors, the fish-out-of-water aspects, and the crazy farce unfold. There are some serious parts where as a Pride and Prejudice fan I cringed (the mix-ups in the couples, Bingley’s decent into inebriation), but all scenes work together and build to the satisfying ending. I must admit that I have always wished Wickham were simply misunderstood, or a scoundrel with a heart of gold, so I finally got my chance to like him. It did not hurt that Tom Riley does a terrific turn as the wily rogue. 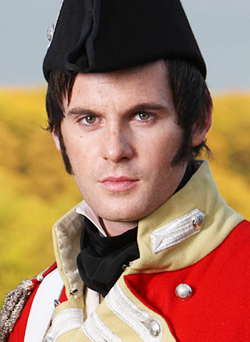 Tom Riley works it as Mr. George Wickham. Amanda is not a substitute for Elizabeth Bennet, but that’s okay. There is no witty repartee between Darcy and Amanda. He is suspicious of her motives, appalled by her behavior, and determined to have nothing to do with her. He is also madly attracted to her. They do not trade bon mots or snappy dialog: they argue, fight, and insult each other. Somehow it all works, and we root for Amanda and Darcy rather than Elizabeth and Darcy. That the writer succeeded in switching my allegiance from Elizabeth to Amanda is no small feat. I definitely recommend Lost in Austen to the fan of all things Jane Austen. In point of fact, Hugh Bonneville and Alex Kingston are now my favorite Mr. and Mrs. Bennet. The novel itself is treated with respect, the characters lovingly fleshed out as “real people” within their original book parameters. It’s like we know the players from the book and now we get to see behind the scenes, how they really are, that is if they really were. It’s the Pride and Prejudice version of E! True Hollywood Story. And we get another pond scene! 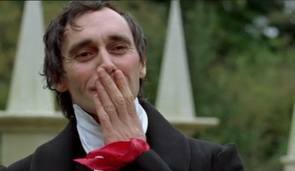 Elliott Cowan as Fitzwilliam Darcy in the ubiquitous pond scene. Thank you. Favorite Movie Ever!!!!!!!! 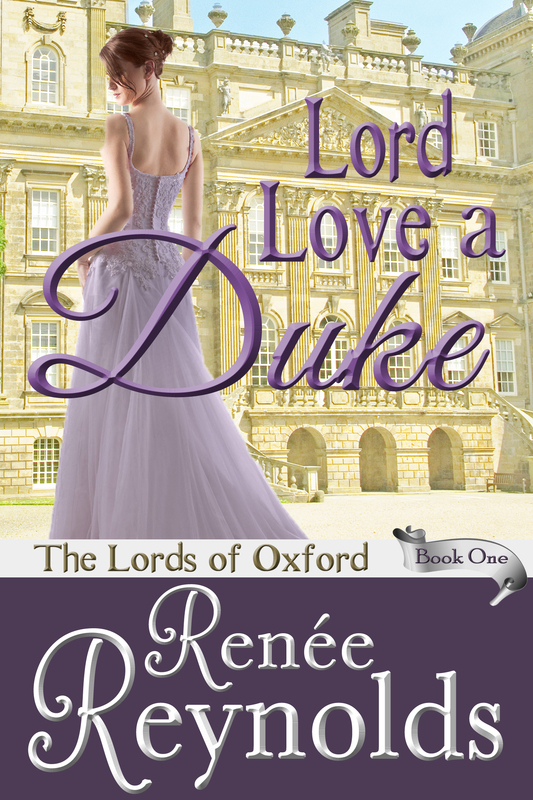 A masterful twist on Jane Austen’s best known book. I completely agree! So many quotable moments in this terrific miniseries!